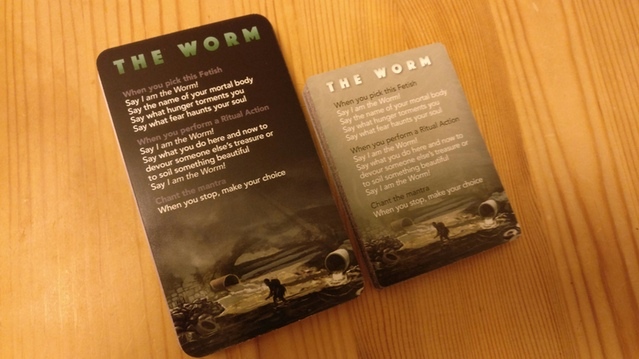 This game has been dramatically improved on Kickstarter. The [PDF - All Languages] version is a zip archive containing 12 PDF files, one for each language in each card format. All PoD versions only offer one specific language. The Name of God is a nanogame. 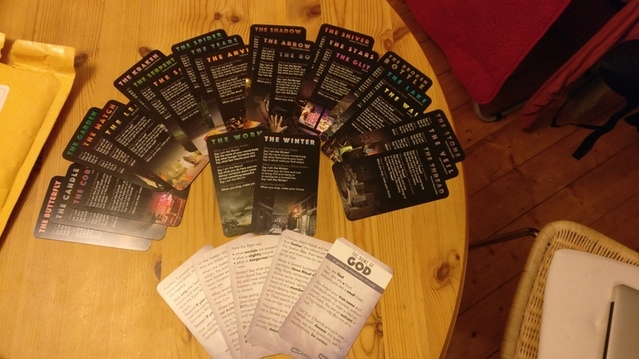 All its rules fit into less than four playing cards, with the rest of the deck offering thought provoking character archetypes and inspiring art. The Name of God is freely inspired to such works as Neil Gaiman's Neverwhere, American Gods and Anansi Boys. And The Prodigy's song Narayan, which more or less means "The Name of God". And also to my undying love for Unknown Armies. The Name of God is a little cynical trip into a bizarre hole, filled with homeless people, weird omens, dangerous situations, and ritual chanting. No, seriously, you will have to intone the words, or you will never find your true self again! Surrounding people will direct worried glances in your direction. This game is a deck of 33 cards with no additional materials needed to play. 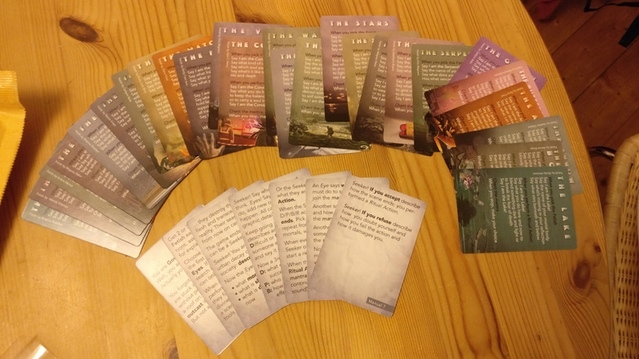 The PDF package, included free with any POD copy, contains the game files in all six supported languages (English, Italian, Spanish, Polish, French, German). Both in the current Poker size, and in the upcoming Tarot size. Visit the official UnPlayableGames website to know more about all my other projects. If you like those too you can help by supporting me on Patreon.